Persistent sexual arousal syndrome. An allergy to cold temperatures. Music-induced seizures. They are conditions that you may be hard-pressed to find in the medical literature. Bring them up in front of a physician, and in some cases you may get little more than a blank stare. But they exist. And while such rare conditions are cocktail-party fodder for some, they can be a source of difficulty and shame for those who experience them firsthand. 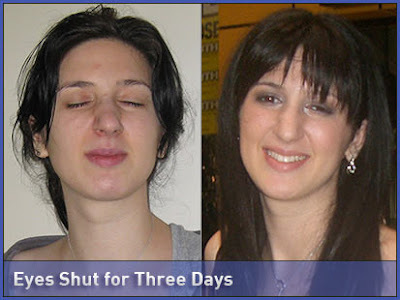 Natalie Adler, 21, of Caulfield South, Melbourne, Australia, says she can sense the onset of her unusual condition -- and when she should start preparing for three days of darkness. Adler said she has suffered from the condition for the last four years. Doctors, both in Australia and the United States, are baffled as to the exact cause -- or indeed, whether her condition is physical or psychological. "In the beginning, I tried to ignore it but have now learnt to live with it," she said. "I thought I was alone in this," Heather Dearmon, a 34-year-old South Carolina woman who experiences PSAS, told ABC News' "Primetime." "And this is after seeing every kind of doctor imaginable -- gynecologist, psychologist, psychiatrist — you know, everything. And none had ever heard of anything." Dr. Irwin Goldstein, a professor of surgery at U.C. San Diego and the head of the Sexual Health Program at Alvarado Hospital, studies the condition. And he says understanding of the condition is spare, even within the medical community. "Every lecture I give on this, there's always smirks in the audience: 'oh I wish my wife was like this.' These are professional physicians," Goldstein said. "And I said, 'no, no, you're, you don't really want this. You do not want your wife to have this, please.'" 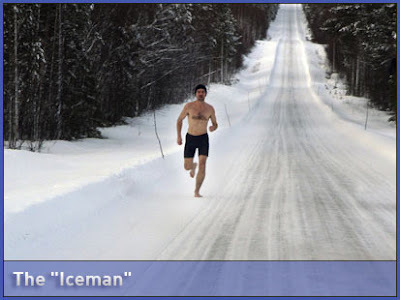 In January 1999 he traveled 100 miles north of the Arctic Circle to run a half marathon in his bare feet. Three years later, dressed only in a swimsuit, he dived under the ice at the North Pole and earned a Guinness world record for the longest amount of time swimming under the ice: 80 meters, almost twice the length of an Olympic-size pool. "I had a stroll like this in the park with somebody, and I saw the ice and I thought, 'what would happen if I go in there?' I was really attracted to it. I went in, got rid of my clothes. Thirty seconds I was in," Hof said. "Tremendous good feeling when I came out, and since then, I repeated it every day." Dr. Ken Kamler, author of "Surviving the Extremes," has treated dozens of people who tried to climb Mount Everest, and instead nearly died from the frigid temperatures. When he heard that Hof had ascended the mountain wearing shorts, he became intrigued and began to study the Dutchman. He believes that Hof's ability lies in the wiring of his brain. "It's very easy to speculate that the same mind control that you use to control your heart when you're scared also can be called upon to control the other organs in the body. And maybe that's how Wim Hof does this," said Kamler. "That's… it's speculation, but it sort of makes sense, and a lot of scientists are working very hard to try to figure this out now." Check out the rest of these baffling medical conditions.